One of our favorite activities during the Fall season is visiting a local pumpkin patch that has a huge corn box for the kids to play in. My preschooler loves to lay down in it and have her siblings cover all of her up except her face. 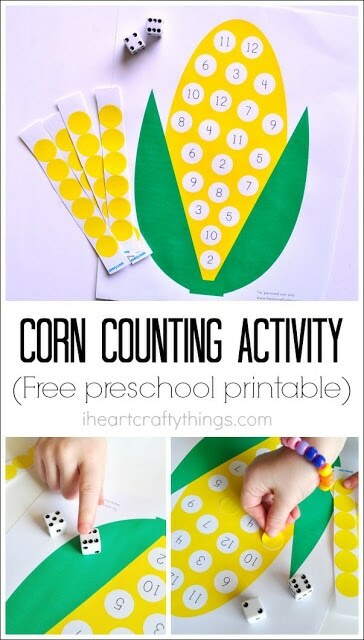 Our love for the corn box inspired this Preschool Corn Counting Activity I am sharing with you today. 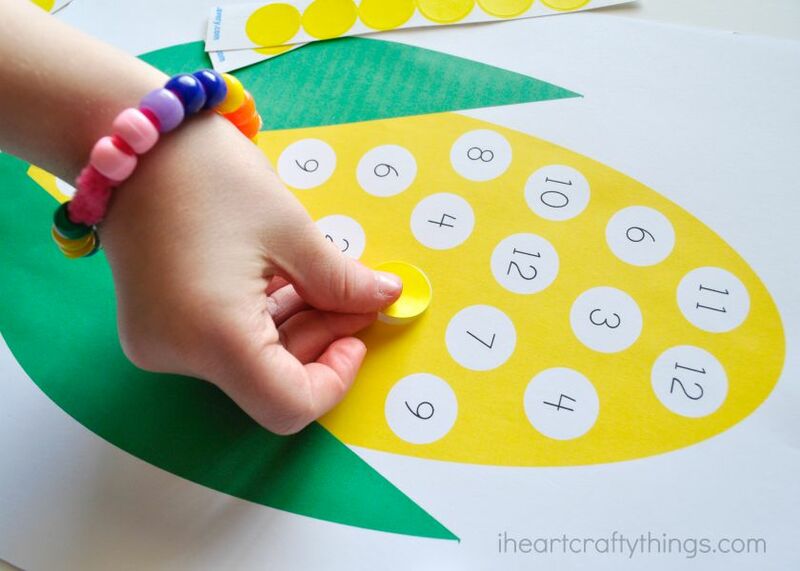 It’s a great activity for preschoolers to practice counting, recognizing numbers, hand-eye coordination and fine motor skills. 1. Start by printing off the Corn Counting Printable. Place it on the table with your two dice and yellow labels. 2. Have your preschooler roll the dice and then count the dots to see what number they have rolled. 3. 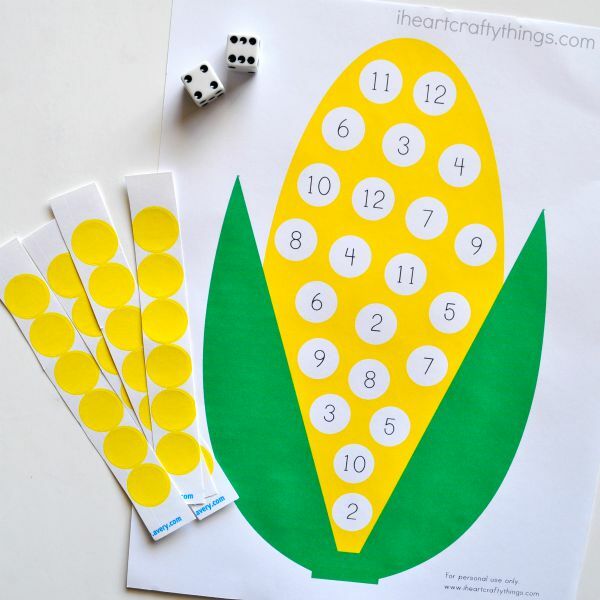 Peel off a yellow label, find the number that you rolled on the corn printable and place your sticker on that number. Each number 2 through 12 is found twice on the printable so if you roll the number more than twice, you simply re-roll your dice. 4. 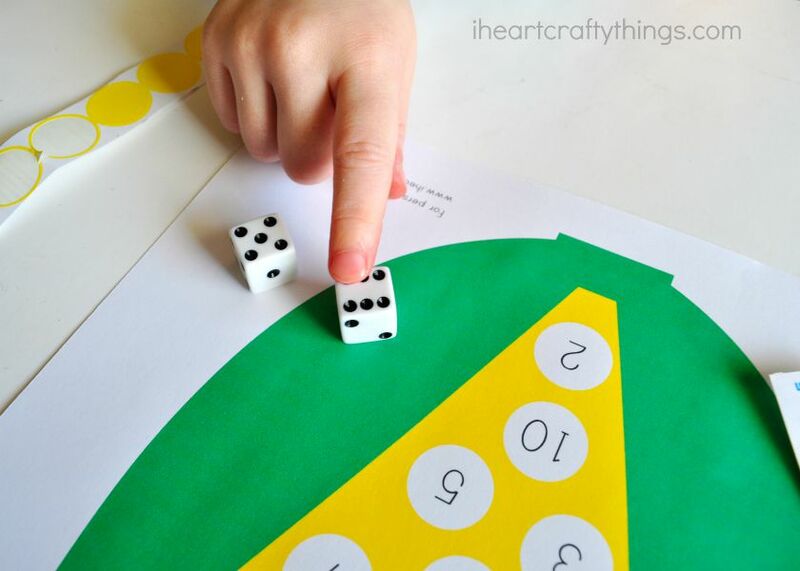 Continue rolling the dice and cover numbers as you roll them until each number is covered. At the end we had to roll a handful of times to get our last few numbers but my daughter maintained engaged during the entire activity. 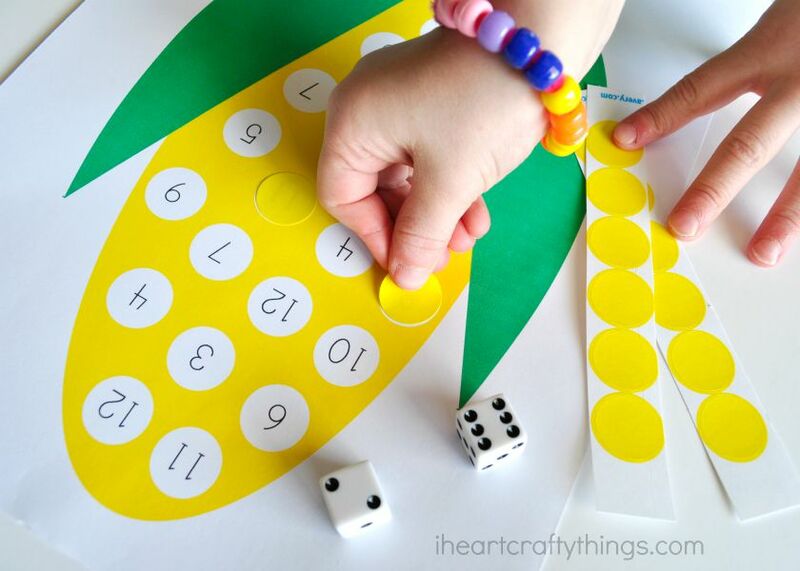 If your preschooler isn’t quite ready to work on numbers to 12, use only one dice and write numbers 1-6 inside the printable. Work on name recognition by writing the letters of your preschoolers name in the empty circles several times. 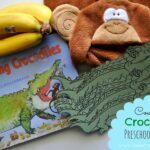 Write the same letters on the yellow stickers and have your preschooler match the stickers to the letters written on the printable. Use the printable with a letter “C” theme. 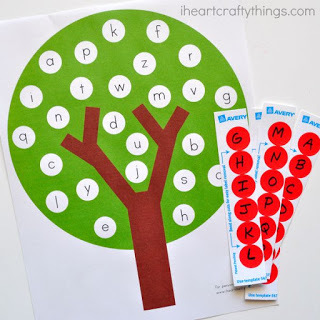 Write uppercase and lowercase C’s in the circles on the printable and on the yellow stickers and have your preschooler match the stickers to the correct letters on the printable. For toddlers, try using the blank printable as a fun way to practice hand to eye coordination and fine motor skills by having your toddler simply put yellow stickers on all of the white circles. You could also forego the stickers and use a yellow dot marker to fill in the white circles. 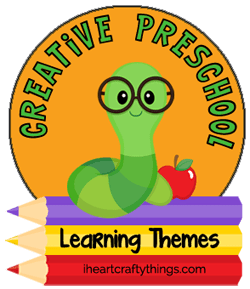 This post is part of a collaborative preschool series where five bloggers and myself have joined together to bring you fun crafts and activities based on a common preschool learning theme. This week we are sharing ideas focused on a corn theme. Stop by October 2 for Pumpkin Themed Preschool Activities! 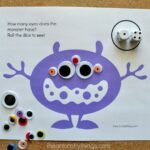 We love sticker activities–thanks for the printable! 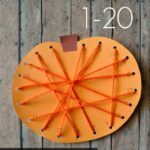 Love this easy, easy way to practice math and celebrate the seasons with kids. Pinned! I absolutely love all of this . a great way to spend time teaching my grandsons. thank you.